Last year, on The Food Network's The Great Food Truck Race, the cute little Nom Nom Girls were sooo victorious throughout that show with their truck serving Banh Mi, or Vietnamese sandwich. I really enjoyed watching them on that show, till the Metallica guys won in the end! What a surprise! This morning I knew that I wanted one of these Vietnamese sandwiches for lunch, so I headed down to South University to Sam's Oriental. 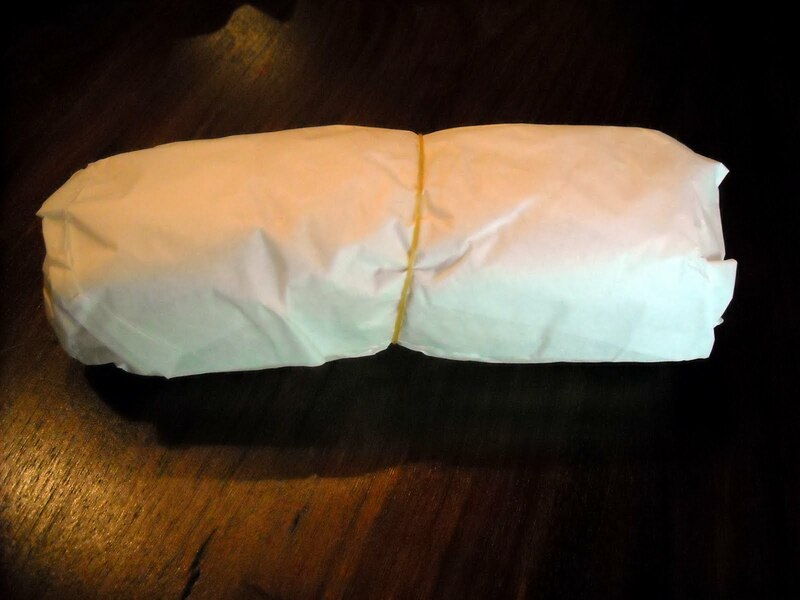 Sam receives weekly shipments of fresh things like these sandwiches, noodles, herbs, and crab. When I moved to Little Rock in 1992, I learned about this place, and Saturday has always been the best day to go down and get the fresh stuff! 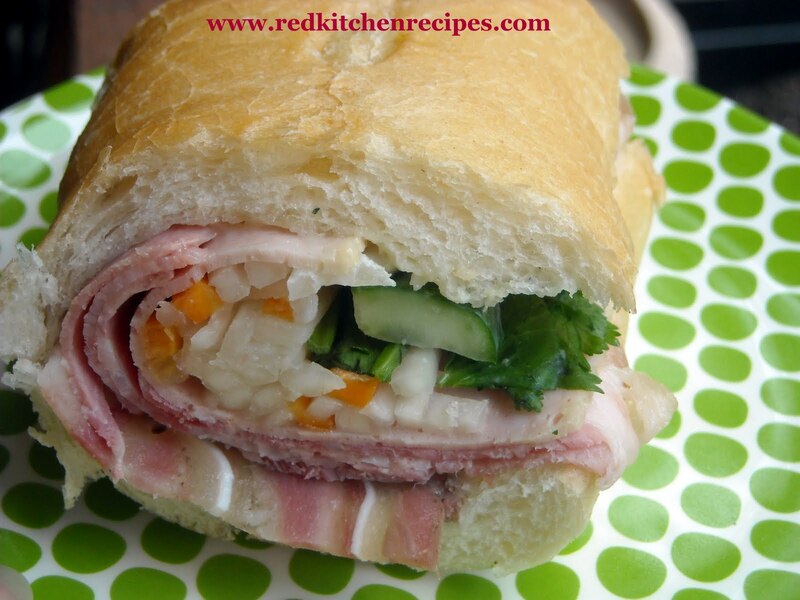 The flavor of the sandwich is so rich with the various layered meats, and so fresh tasting with the crunchy pickled carrots and daikon. The french bread has a delicate aroma with a slightly crisp outer crust, yet soft inside. They're wrapped up like this. I always remove the jalapeno before I bite into it. I usually cut it in half so that I can get to the goodies in the center right away. The Great Food Truck Race is on again soon, and I will be watching! Maybe I should start my own banh mi and springroll truck huh! 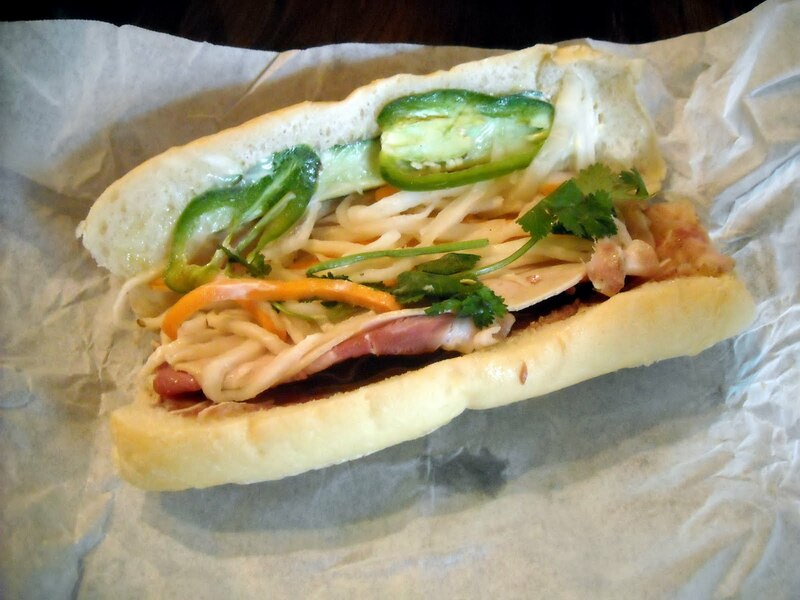 You can also get these sandwiches at Vietnam Market at Geyer Springs on Fridays, Saturdays, and Sundays.